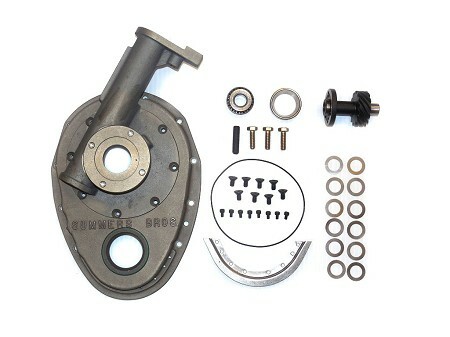 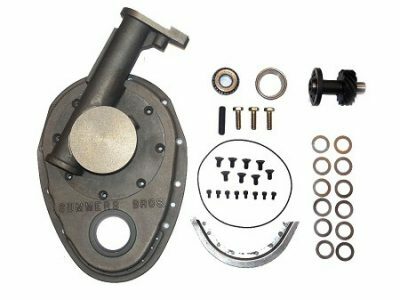 Front mount distributor drive with fuel injection pump drive flange (Hilborne or Enderly), Small block Chevrolet. 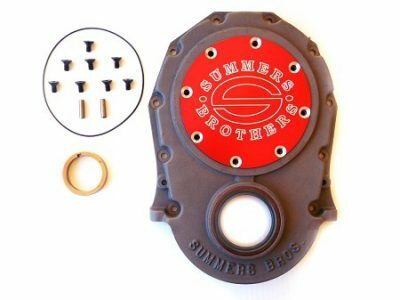 The Summers Brothers front distributor drive for small-block and big-block Chevrolet V-8’s solves the short comings of rear-mounted distributors. 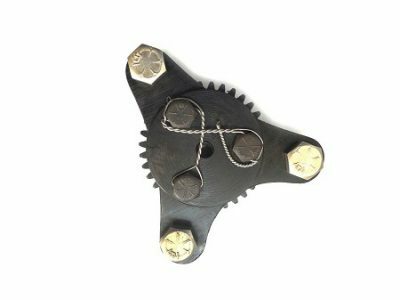 The accuracy of the ignition timing is improved, since camshaft twisting caused by valve train and oil pump loads does not affect the distributor. 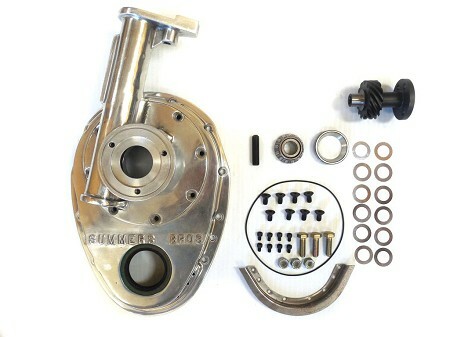 A front-mounted distributor is easily accessible, and offers more clearance for intake manifold runners and carburetors. 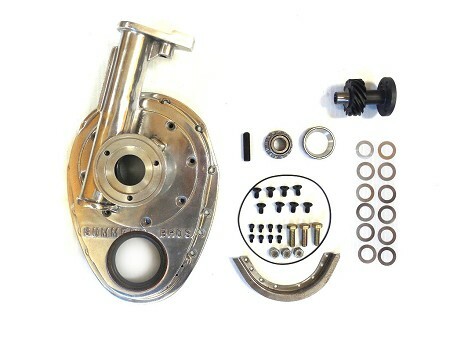 Engine maintenance is simplified, since the manifold and cylinder heads can be removed without distrurbung the distributor.